Well! Apple Shot Themselves in the Foot! It seems that Apple Maps has delivered the company a bunch of problems they could do without! Places on their new maps that no longer exist, businesses in the wrong place, cloud-covered towns and who knows what other daft problems? This picture of the Clifton Suspension Bridge appeared yesterday in the Western Daily Press and many other newspapers. Needless to say, Apple promised to fix all the problems soon. No threat to Google then! At least, not this week. This update was added 21/9/2012. Read the original post below. From now on, all new iPhones and iPads will ship with Apple’s new operating system, iOS6. Its new mapping system will displace Google maps on these devices. The change will also affect existing devices when they upgrade to iOS6. 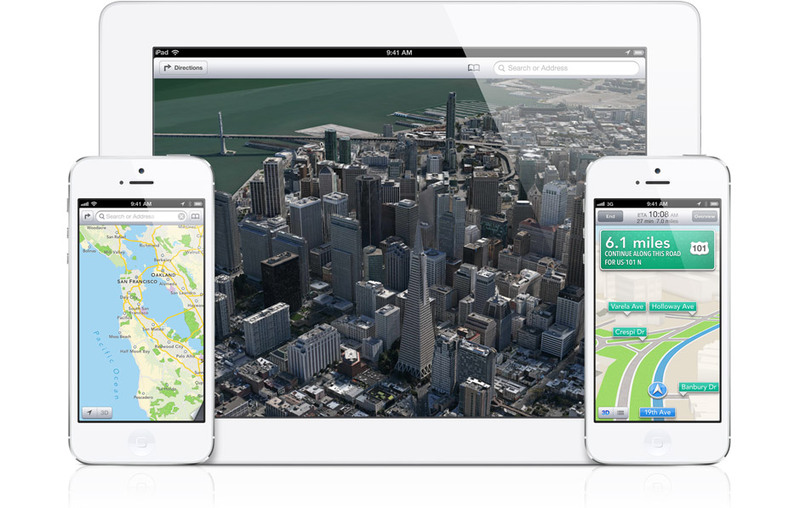 Apple’s new offering, “May just be the most beautiful, powerful mapping service ever,” or so they claim. Whilst the system uses Apple’s own mapping software, its map data is licensed from TomTom. It uses the business directory, Yelp, to respond to local searches. Naturally, Apple Maps has some superb features. 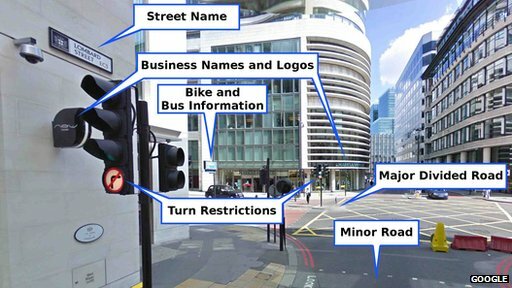 These include interactive, 3D, highly-detailed, vector graphics maps, turn-by-turn directions, and real time traffic information. It’s all fully integrated with Apple’s unique Siri, the intelligent speech recognition / activation system. Now it actually works in the UK! Google has responded by announcing its “Ground Truth” project. Instead of relying on licensed maps, around 2008 Google started to build a whole new system – from the ground up. This combines its original map data with a huge amount of local data collected from Street View – still the best way to take a virtual tour of your destination. Google claims that owning all the data is key, and without control of its licensed map and local data, Apple Maps will find it hard to compete. 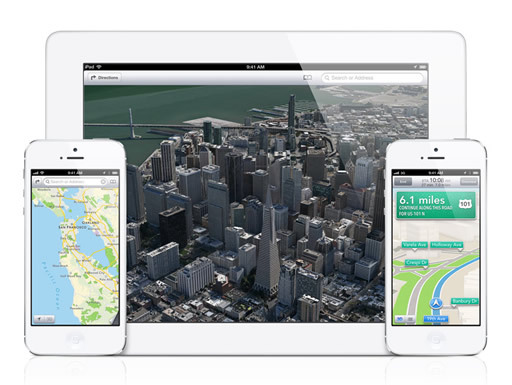 Some pundits predict Apple will return to Google Maps within two years. With 40% of local searches performed on mobile devices, and 55% of those on Apple, this is likely to hit Google’s search market share. Your Google Places page impressions could drop by up to a quarter, damaging your local lead generation activities. So, with Apple Maps business data coming from Yelp, now’s the time to claim your business in Yelp’s directory. It won’t take long. And even if most iOS6 users switch back to Google Maps, it’s not a wast of time. NB: We still recommend claiming your Yelp business listing, despite Apple’s gaff. Don’t use exactly the same words in your Yelp entry as you do in Google Plus Local, use it to support your Plus Local page. 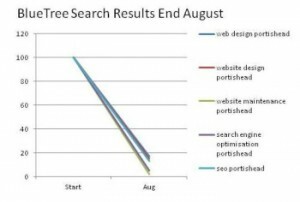 Make it similar, perhaps with some different or extra business facts or differentiators. Don’t have a Google Plus Local page? It’s easy. Find out how. This entry was posted in Wider Internet Issues and tagged 3D map, iPad, iPhone, local search on September 17, 2012 by Dave Fielden.